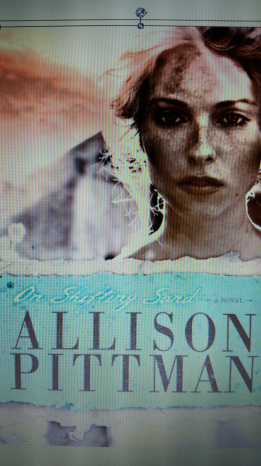 Anyone who comments will be entered into a drawing for a signed print copy of On Shifting Sand by Allison Pittman. (Tweet That!) This story is an authentic portrayal of how sin works itself into our lives one tiny grain at a time. *Update: Tisha Martin is the winner of the drawing! Congratulations, Tisha! Welcome, Allison! What an honor for you stop by for a chat. Thank you for providing one of your autographed books to one of our readers who comments below. ~ Tell us about your pre-Allison Pittman, Author life. My life immediately pre-writing was pretty chaotic. 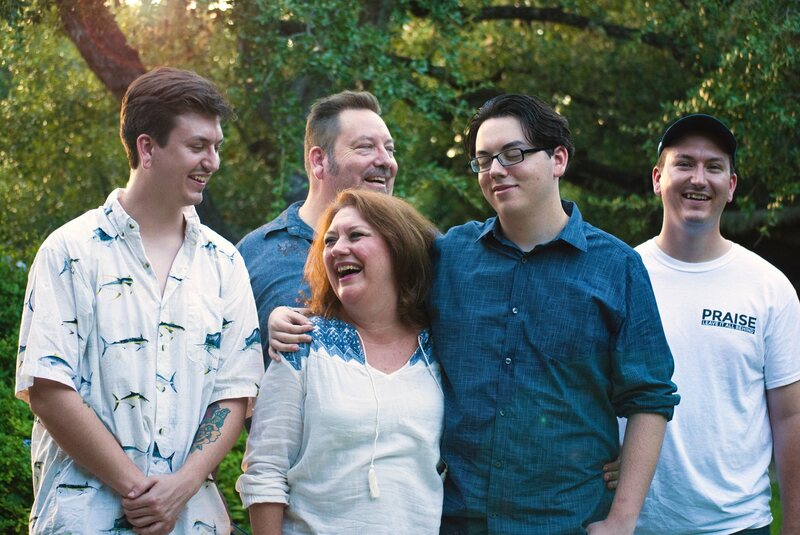 Teaching high school, three little boys, fun-loving husband. Honestly, I just remember being tired. I have no idea what I did from moment to moment, other than fix supper and grade papers and go to baseball games. All of which I loved! (maybe not the supper, because I honestly have zero memories of ever cooking anything) think I felt a little lost in the midst of it. My “me” time was my Monday night writers group. Every Monday night, I left Mikey and the boys with a pizza and I went to my critique group. When my husband had night classes on Mondays, I fixed a supper and used the pizza money to pay a babysitter. We critiqued 12 pages a week, and I’ve always said that I wrote my first book 12 pages at a time. I had no idea what I was doing, or what I even wanted to do, but in a house full of boys and men, I’ve always had to carve out a bit for myself. God’s hand is so clearly at work in my first novel. He designed me, and He knows I don’t have the tiniest bit of perseverance. 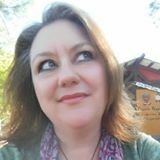 I sold the first novel I wrote, and I sold it before it was totally finished. I don’t think that would happen today—so, again, God’s timing is perfect! But that doesn’t mean it was a smooth road. My first time to talk to anybody about my novel was nothing more than meeting an editor at a conference and crying on the other side of the table for 15 minutes. So Awkward. And the day I got the email that Multnomah wanted to offer me a contract…I experienced this dump of adrenaline. I didn’t know how badly I wanted to succeed until that moment. (Tweet That!) It was like a blow to the center of my being, and I thought—this is going to happen. And I don’t feel like I’ve taken a steady breath since. ~ Tell us anything you want about your writing and/or personal journey. Encouragement or advice? I always hesitate to talk about my first publishing experience, because I know how atypical it is. But, fellow and future authors—take heart! I’ve experienced all my rejection post-first-contract. I’ve published 13 novels, and have at least 9 rejected ideas. Wait…if I factor in my search for an agent for my secular YA project, the number of rejections pops up to 15. I’ve won awards, but lost more. I’ve had great reviews, but can quote the bad ones. I am not my own mother’s favorite author. But in the world of writing, self-focus is a killer. 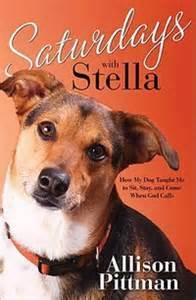 I am a Christian author. As a Christian I cling to Colossians 3:23-24, Whatever you do, work at it with all your heart, as working for the Lord, not for human masters, since you know that you will receive an inheritance from the Lord as a reward. It is the Lord Christ you are serving. (ESV) As an author, I write with my readers in mind. (Tweet That!) This is a small, vibrant community, and writers need to invest in each other. My advice to aspiring writers is to read the books written by the men and women who will be your peers. The best part about this job is getting to know all the fabulous writers out there, cheering them on, celebrating their successes and speaking Life. Thank you, Allison, for stopping by. We love getting to know you better. Loved the interview! Have yet to read Allison Pittman. I know. I know. I have a very long TBR pile! You won’t regret reading anything by Allison Pittman. Stealing Home won the Carol. And For Time and Eternity and Forsaking All Others and All for a Story were finals for the Christy. I need to make a plug here, too, for Lilies in Moonlight. I feel like if your read that book, you read my entire heart. Cullen is my favorite of my heroes, and Lily the most refreshing woman I’ve ever created. I won’t be offended by Mom’s comment! Hahaha…Barbara is my sister, and she is a beautiful writer! We are hoping to collaborate on a project later in the spring/summer. 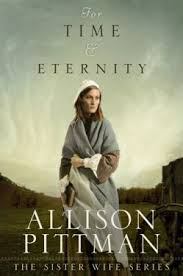 Ann, I love everything Allison has written, but her Sister Wives books (For Time and Eternity and Forsaking All Others) are the most eye-opening. 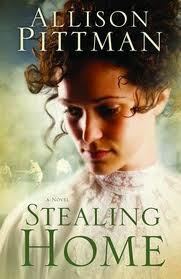 Her Stealing Home won the ACFW Carol Award, and she was a finalist for the Christy Award for All for a Story, Forsaking All Others, and For Time and Eternity. I read a critique once that described her writing as poetry wrapped in wisdom. I agree! Not gonna lie… I have always loved that poetry wrapped in wisdom line. Gives me a huge challenge with every new novel. How interesting! Thanks for the encouraging words. Allison is my most favorite author in the whole wide world. You’re among a long list in that assessment of Allison’s writing. Darla. I’m on that list too.